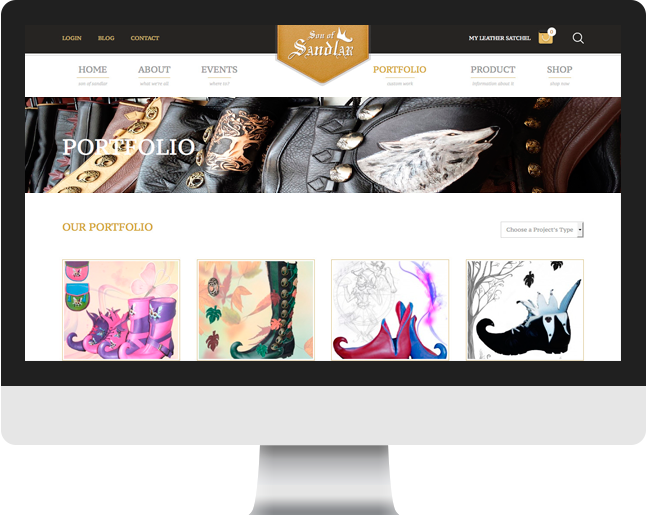 Son of Sandlar is a family-owned company based in Savannah, Georgia with a proud history of crafting the finest in renaissance leather wares. 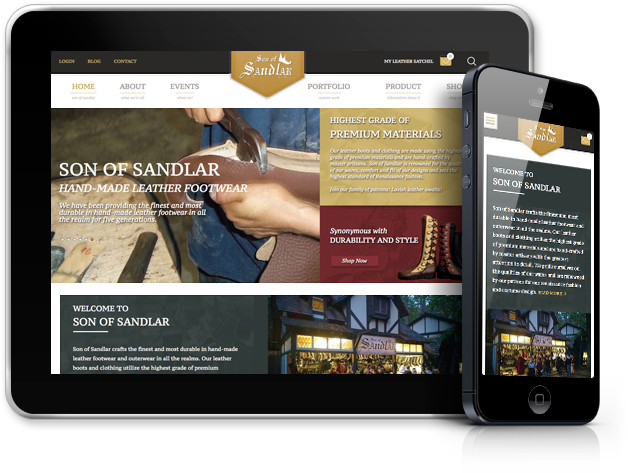 Cultura Interactive was approached by Son of Sandlar to Create A WooCommerce website, and provide a more appealing look based on their target market. 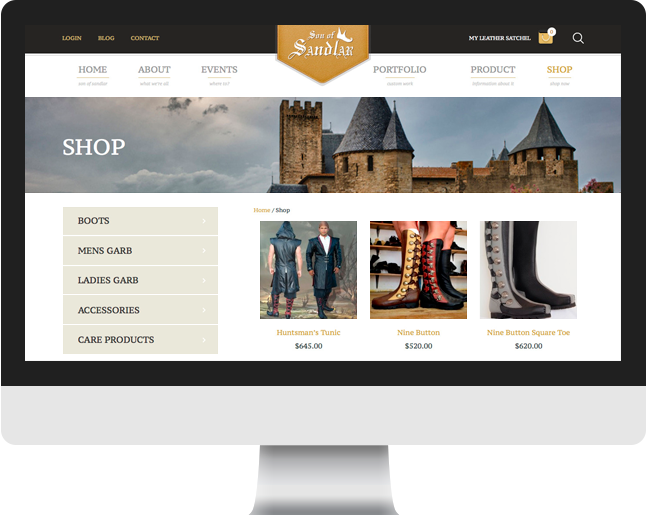 Since Son of Sandlar is an e-commerce website with WooCommerce integration, planning the framework allowed us to organize the layout in a way that would be easier for customers to interact with the products they offer. This way, visitors can make purchases by choosing among a variety of options in an easy and simple way. 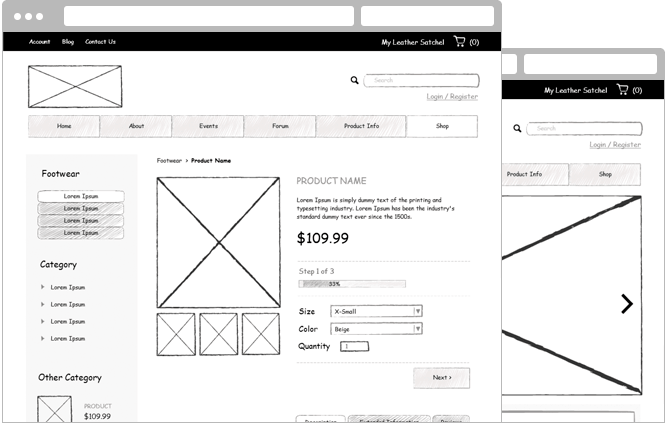 The new website design required e-commerce capabilities to feature unlimited product categories, and allow customers to purchase and customize available products online. We also integrated a custom page for customers to input an order number, and be able to add money to credit in a product they purchased previously. 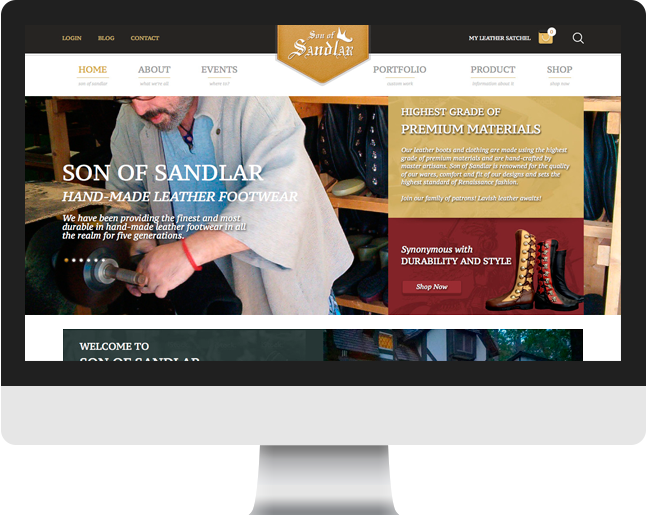 Son of Sandlar boots are custom made for their customers’ unique taste. 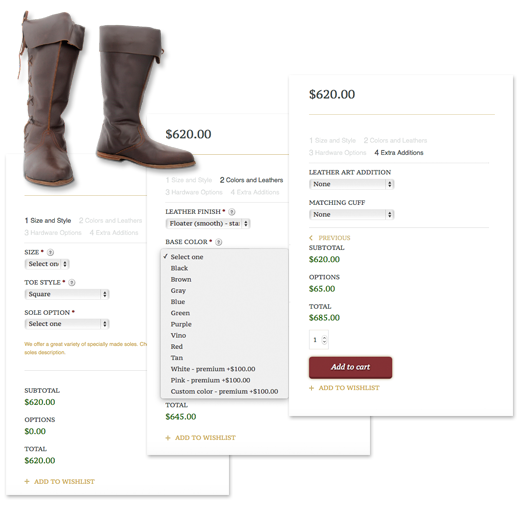 The new website design required a feature to allow customers to build a boot or shoe “on the fly.” We fulfilled the challenge with the use of WooCommerce, and a series of conditional attributes as options. We broke down the building process for purchasing a boot into a few steps. 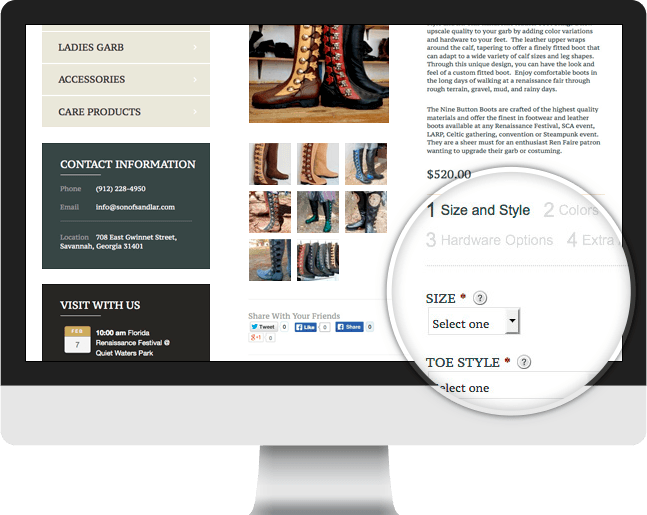 This provides customers with a friendly interface to build their boots, and allow them to choose between more than forty options from boot size, toe style, soles, leather finish, base colors and more. A mobile version of the website was created using responsive design methodology, so that users will be able to properly navigate and interact with the website on a smartphone or tablet. It also makes purchasing easier while customers are searching for specific products.